Hi!!! Long time no see. Last week, I was in Beijing for the 23rd annual BEIMUN conference. The conference was AMAZING. We got to stay in the Crowne Plaza, pretty much all my friends in MUN went and I got best speaker in my comittee. Unfortunately, our plush surroundings and limited time prevented us from doing much exploring. 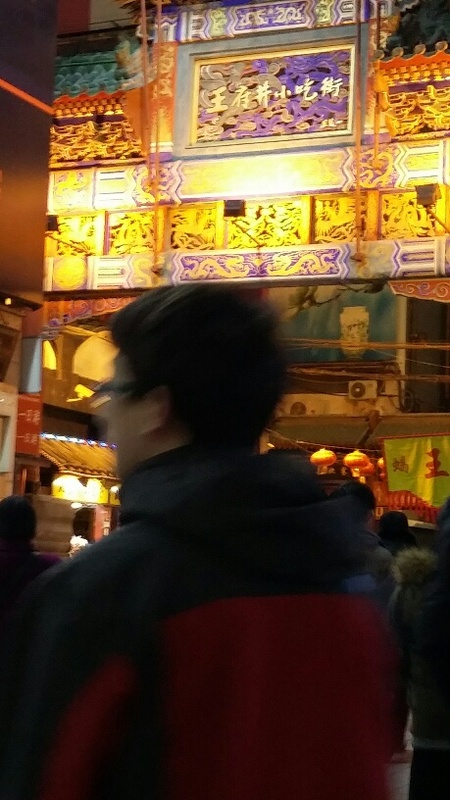 However, on the second day, we managed to go to a nightmarket or 小吃街, which literally translates to Little eats street. I was excited!!! There was tons of iconic Beijing snacks such as 糖葫芦, candied hawthorne and smelly tofu, but those treats can be gotten anywhere. 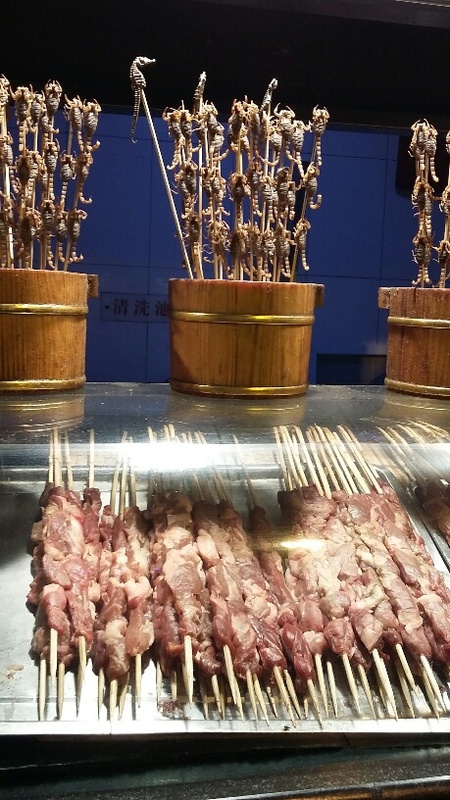 I beelined for the fried insects. This is one of my new favorite dishes. 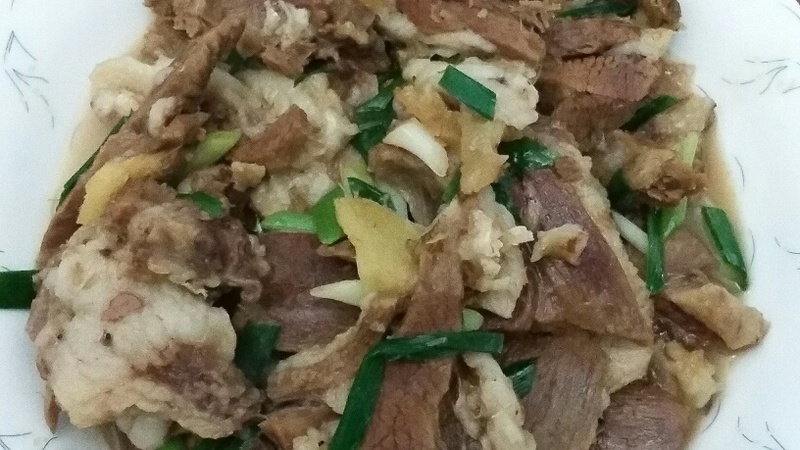 We use preboiled lamb from my mom’s hometown. Preboiling the lamb cleans it up, renders fat, and drastically shortens cooking time. Basically, we stir fry it with minimal oil, add hot water, seasoning, cooking wine, and let it simmer. When it’s halfway done, we throw in a few welsh onions for flavor and nutrients. It’s SOOOOOO good and healthy. 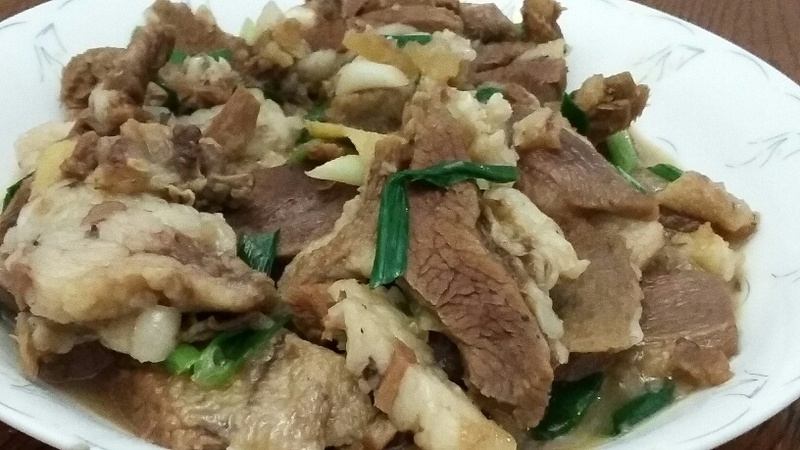 Boil the mutton until fully cooked, discard the water and chop the meat into cubes or thick slices. Heat a wok on medium high heat, a a little bit of oil (no more than 1-2 tbsp) and stir fry the lam for 30 seconds or so. Add some soy sauce, the ginger and cooking wine and continue stirfrying for another 2 minutes or so. Add 1-1.5 liters of hot water. When the mixture is boiling, turn the heat to low, cover and allow to simmer. After about 10 minutes, add the welsh oinon and continue cooking until there is little liquid left (around 15min). Remove from heat, serve and enjoy!!!!!! Could you please explain what is Mutton?